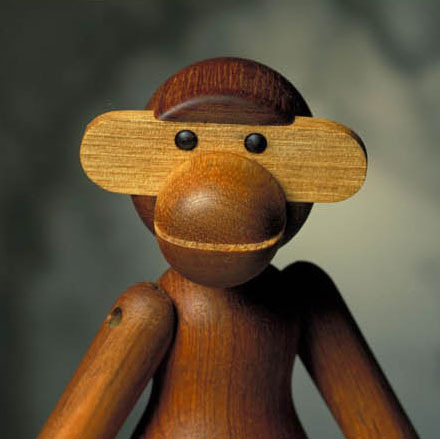 The wooden toys which Danish designer Kay Bojesen created have lasting play power. 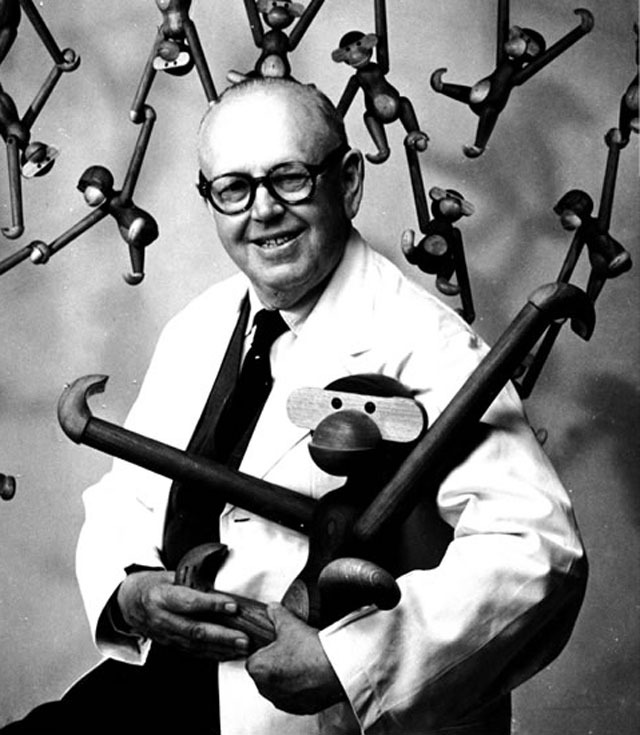 Kay Bojesen designed these classic wooden toys in 1951. 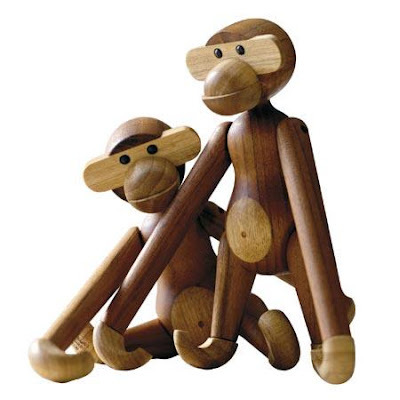 The Kay Bojesen wooden animal collection is made in Denmark from teak and limbawood. Each is a piece of modern Danish design made with superior craftmanship. Their heirloom quality and good looks make them extremely popular. The monkey with the prankster’s look and the light coloured belly, has transformed kids’ rooms into jungles and sparked dreams of far-away places since 1951. On Danish television it has a permanent place as a mascot in wildlife programs, and as a prize in quiz shows. 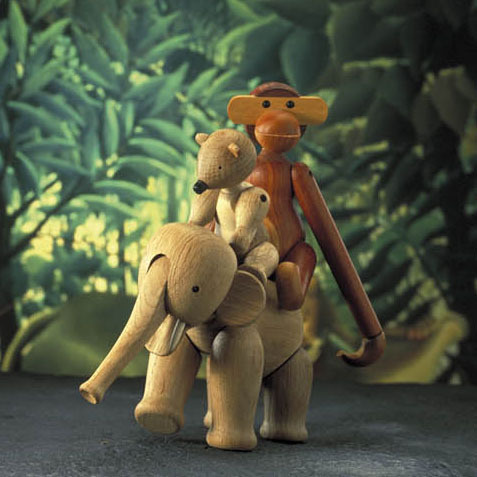 The wooden animal collection includes the ever popular Bojesen Monkey, the Bojesen Elephant and the Bojesen Bear. These exquisite toys are still manufactured in Denmark. 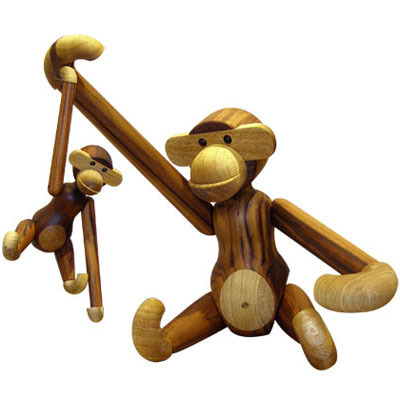 This happy Monkey is cute as a button and is the perfect present for young and old! This classic design toy comes packed in a beautiful gift box which represents the painting by Henri Rousseau (another wonderful artist by the way, represented in numerous museum collections). Kay Bojesen: "Even though an old proverb says ’too much special knowledge makes you stupid’ I, as a craftsman, must say that having gone through an apprenticeship in the field of applied art, gives me certain advantages in the difficult art of design, as compared to those who partly or completely work from theoretical knowledge.” Kay Bojesen was a silversmith, but through his wooden toys he became known as one of Danish applied art's great pioneers. 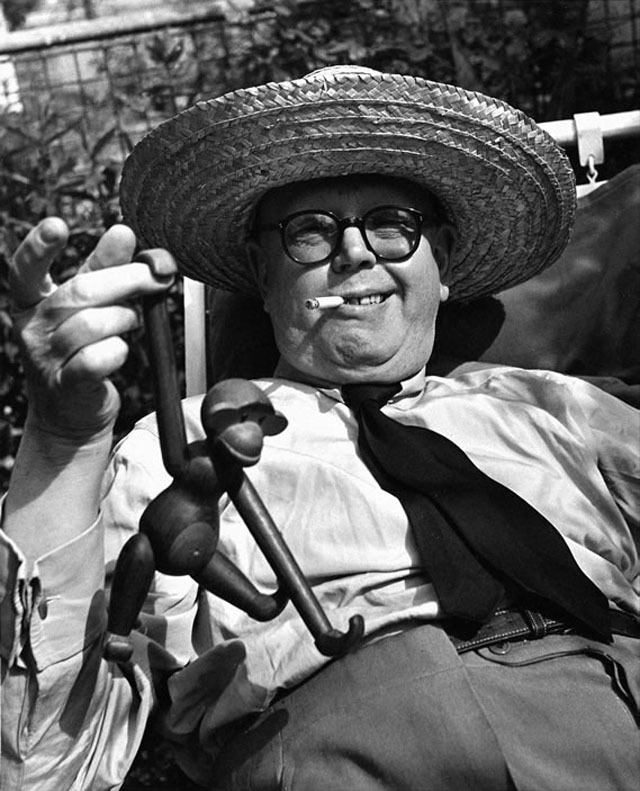 His Grand Prix cutlery received its name when it won first prize in Milan in 1951.